Mental Health Awareness week 2019 is taking place from 13 – 18 May 2019. This year’s theme is Body Image. Every year people support mental health awareness week by getting involved in different activities. This year’s activities will take place between 8 May 2017 and 14 May 2017. 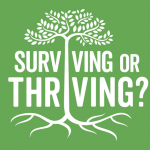 The theme is ‘Surviving or Thriving?’ with much more focus on keeping well rather than focusing on mental ill health. Think about ways you can bring people together and start conversations around mental health. Visit the Mental Health Foundation website for lots more information. You can add your event to their map. If you are organising a local event, why not let Wright Mind Training Services know about it. We can add it to our website for you. 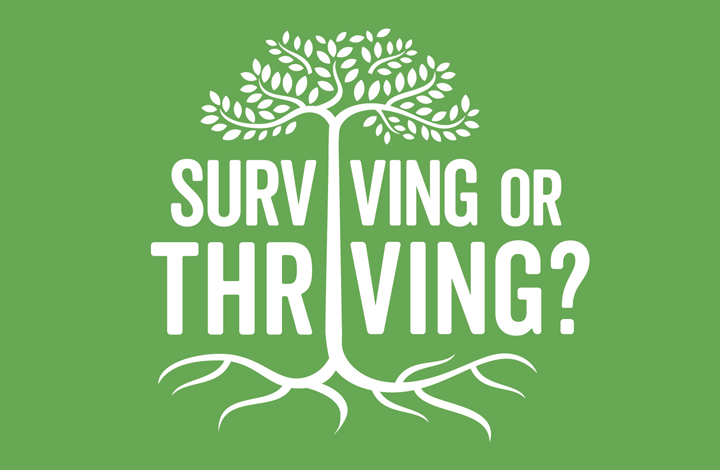 Going for woodland walks helps me thrive?. What helps you to ‘thrive?’ Let us know, it can help others to know what works well for one person. If you e-mail your story to us, please give us enough information to know you are genuine. However, we won’t publish any personal information on our site. Want to improve your mental wellbeing and those of your staff or group? Why not visit our events page and see what courses we offer. Alternatively contact us to discuss a bespoke booking. A return visit to the R &D facility at Moorgate, Rotherham where I delivered the MHFA Adult workshop here about eighteen months ago. The employees on the site have been experiencing a long period of instability due to relocation and it is very encouraging that one of the Managers had identified the need for more Mental Health First Aiders to be available on site as many of the previous cohort had moved on. From the offset, the attendees – Adam, Heather, Stephen, David, Gail, Dave, Jenny, Alison, Neil and Paul were engaged. They contributed throughout the two days – either in activities, case studies or sharing knowledge and experiences. Verbal and written feedback indicates how much each person took away from this course. Overall a good course that has improved my awareness and understanding of mental health issues. I just need to build up my confidence now as a Mental Health First Aider. An excellent and well-paced course. Excellent, eye opening course. Really enjoyed it and have been given some good reference books to purchase to help deal with any issues that may arise.